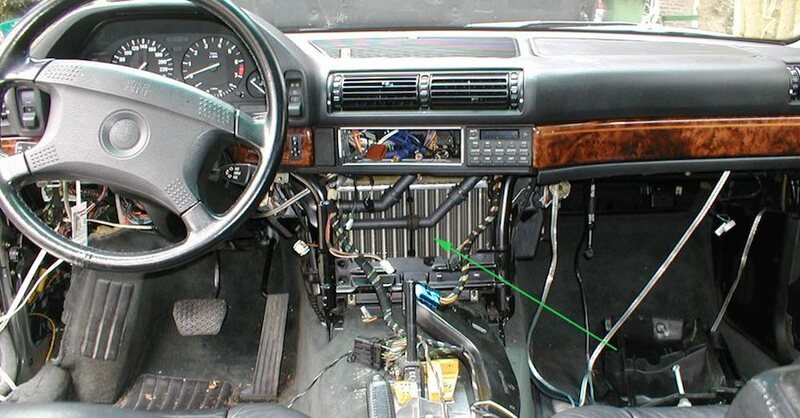 Your car air conditioning system might seem fairly complex, especially if you’ve ever received a bill to repair it. Breaking it down into its major components can help demystify how it works. 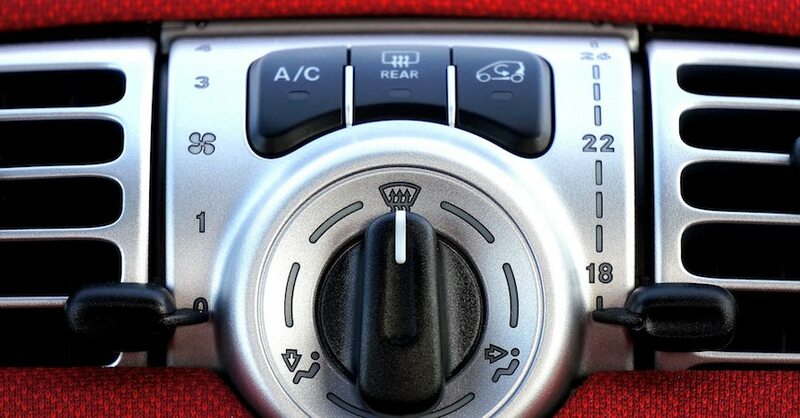 Almost every car features the same basic air conditioning parts that work together to keep things cool when the weather turns hot. It’s not quite the same as the air conditioner you might have at home, but it’s not all that different, either. 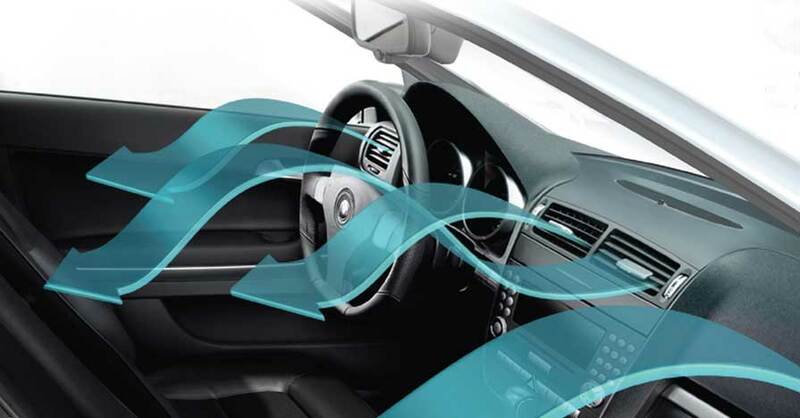 A car air conditioning system works by taking advantage of the laws of physics concerning how heat is absorbed and emitted. Long story short: Compressing a gas heats it up, and then allowing it to decompress again and condense into a liquid causes it to lose its heat rapidly. Quickly moving from that liquid state back to a gaseous one absorbs ambient heat and then the process can start all over again. The compressor is the part of your car’s air conditioning system that takes care of the first part of that equation, running off an engine belt to squeeze gaseous refrigerant — in almost all cases something called R-134a or HFC-134a. Once the refrigerant has been pressurized, it’s time to send it to the condenser, where it cools down inside a series of finned tubes. As it cools, it condenses back into a liquid state, although it’s still under pressure. Before hitting the next stage in its journey, this liquid is passed through a receiver/dryer mechanism that removes any water that might have somehow contaminated the refrigerant, which eliminates the risk of ice crystals forming inside a car air conditioning system. The evaporator is located outside the engine bay, usually along the firewall inside a vehicle’s cabin. After being allowed to move from the high pressure environment of the condenser to the low pressure evaporator by way of the thermal expansion valve, the liquid refrigerant enters the evaporator where it is exposed to the heat from the passenger compartment — the very temperature that made you switch the A/C on in the first place. This exposure causes the fluid to actually boil — because the boiling point is very low in liquid form — and the end result is its transformation into a gas once more. 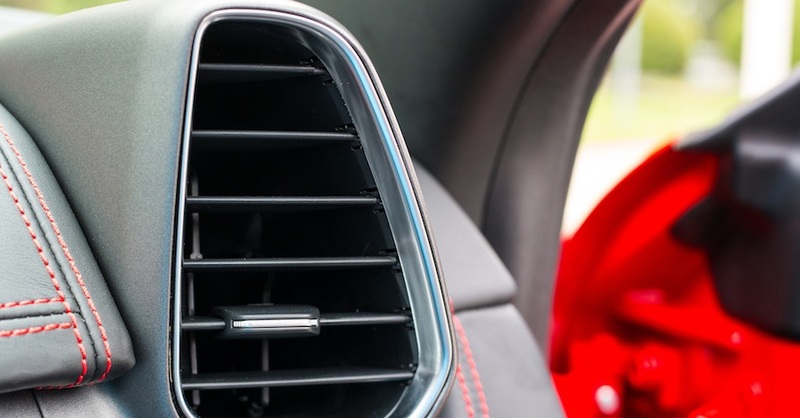 In the process of becoming a gas it absorbs a lot of heat from the surrounding air, which chills the evaporator coil enough so that a fan blowing over it can redistribute that cold air through the vents in your car. Though your car’s A/C system may seem complex at first, breaking it down can make an overwhelming concept much easier to understand. 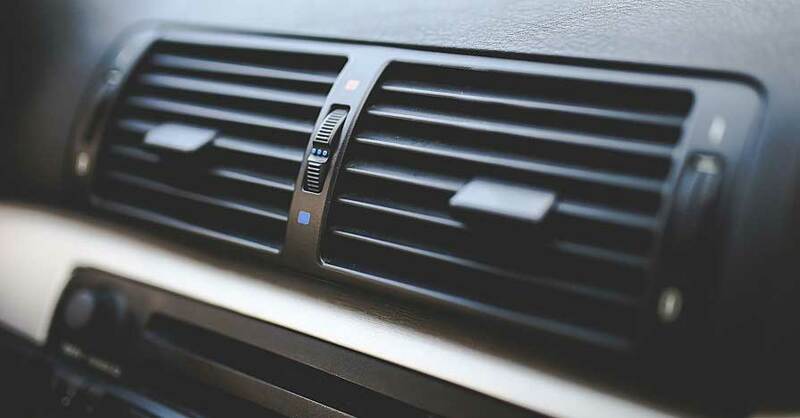 Check out all the Air Conditioning System parts available on NAPA Online or trust one of our 16,000 NAPA AutoCare locations for routine maintenance and repairs. 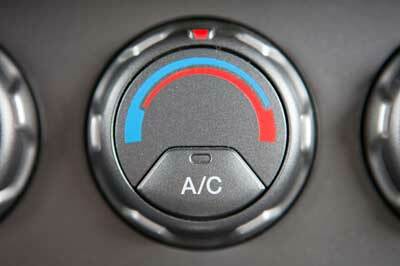 For more information on car air conditioning, chat with a knowledgeable expert at your local NAPA AUTO PARTS store. Mold in the Air Conditioner: How Serious Is It?